Our hotel in Bangkok has a lovely infinity pool where you can see a lot of the skyline. 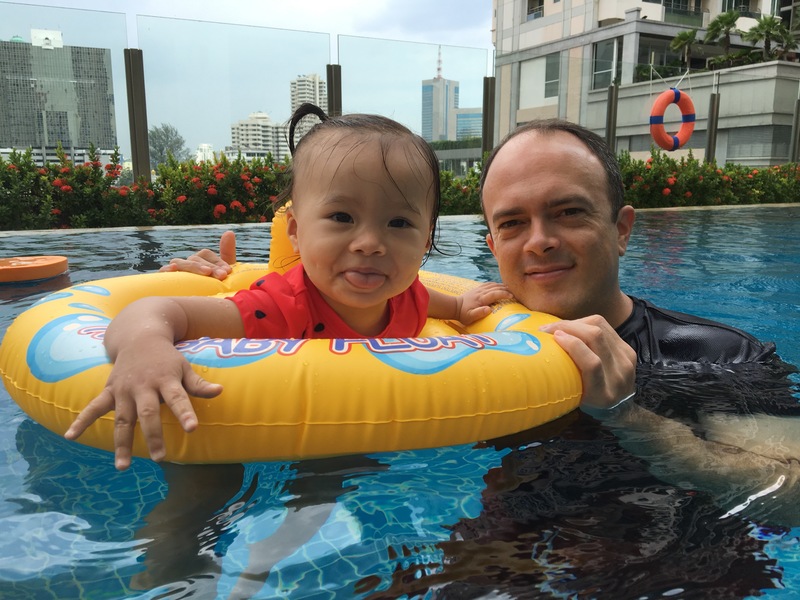 Isa and her baba doing some pooltime. Isa goes crazy in the water. She loves it so much that she dunks her whole head in there, mouth wide open, gulping in mouthfuls of water. It actually seems kind of dangerous, now that I think about it.